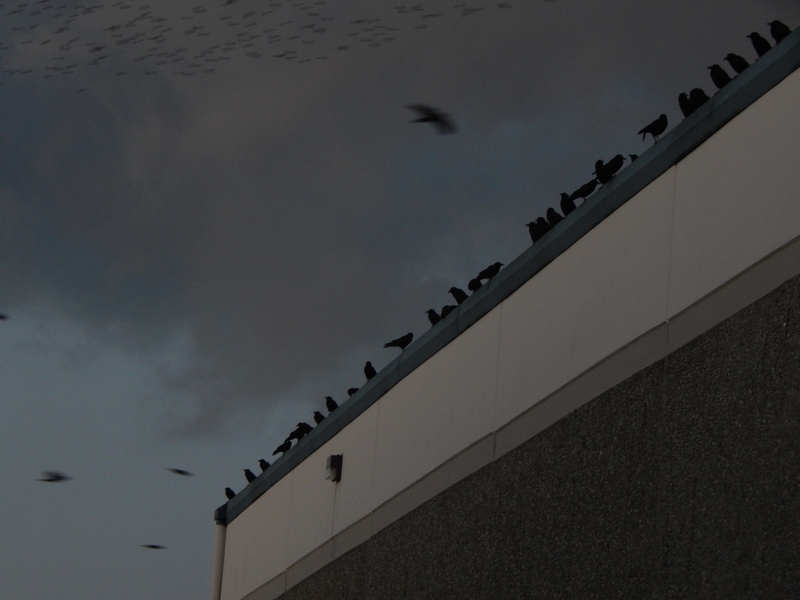 A week ago I was watching the evening antics of the Renton crow murder as they prepared to roost for the evening. They fly around our building in large groups and fill up the trees in the parking lot. I stood on the second floor watching them from the window with my camera. That was when I saw this huge swarm of birds flying in what is called collective motion. My first reaction was wow the crows are really putting on a show. I took several videos and still photos of this bird swarm. Then my partner in crime at the office asked me the next day if I had seen the KING 5 article on the crows? I had not and went to find it right away. There I found that crows cannot fly like this. The swarm was made up of starlings joining the crows in their roost. I learned that this swarm is called murmuration.